The lovely Kate Beckinsale reads from a guide of 18th century dating rules for Vanity Fair. The article also includes a scene from the film. 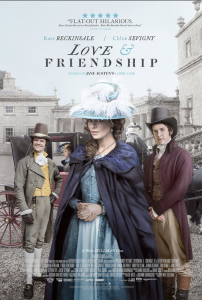 Whit Stillman’s Love & Friendship is in Theaters Friday NY / LA. Select Cities 5/20 and Nationwide 5/27. A force to be reckoned with – #KateBeckinsale is Lady Susan Vernon in #LoveandFriendship.